Millennials, who are in the age group of 18 to 36, make up 25 percent of the total population, and they now prefer living in cities rather than the suburbs. Most of them are students who are making the transition from living on university campuses to apartments in cities. Their requirements would have changed from student housing to workforce housing, but they are still attracted to certain amenities that they have been accustomed to during their campus days. These Gen Y renters have a clear set of things that they consider "essential", and they can easily pass up a property that does not provide these basic requirements. Here are certain aspects that property management should consider if they want to attract the millennial crowd. The main thing, Millennials look for in any property is convenience. The Gen Y crowd has got used to walking on campus, and they prefer everything within walking distance, whether it is shopping or their place of work. However, they are also not averse to taking the subway, wherever it is easily accessible. Hence, while marketing the units, property management should definitely mention that the shopping area or the subway is within walking distance. Millennials prefer smaller living spaces, as they will be less costly. However, the cost is not going to pay a major role when they consider amenities. For most Gen Y renters, the right types of amenities play the most important role in their choice of properties. So, what do they look for? Larger common areas are popular, and so are Pilates studios and fitness centers on the property. Pools, decks, and patios are also hot favorites, along with outdoor BBQs in the common area. If the property is being newly developed then consider having higher ceilings with relatively smaller floor plans. This will not only bring down the rent, but the area will also appear bigger and have a solid or respectable amount of light. Another important aspect that is highly appealing to Millennials is smart storage solutions inside the units. Many apartments now include locks for bike storage directly on the ceiling or wall, which facilitates hanging the bike inside the apartment. Bike storage lockers are also popular, since tenants do not have to carry the bikes to their units. Millennials fully engage in social media and technology. Hence, if the property does not measure up to the latest technological amenities or capabilities like Wi-Fi connectivity, entertainment cable network and so on, it will lose its appeal instantly. Secondly, property management will need to have a strong online presence to attract this crowd, since they mainly look to online rating sites, Facebook, and Twitter to find an apartment. Lastly, these renters will expect doing all transactions online, from paying the rent to issuing a complaint. Millennials seem to be more conscious of protecting the environment than any other section of society. Hence, providing eco-friendly lifestyle and greener bright attributes could play a role in attracting these types of renters. Mostly properties gain popularity by the amenities they provide. When property management considers the requirements of millennials and baby boomers, they might seem different, but there are many similarities, and amenities need not be tailored for any one generation. Here are some of the important amenities that most tenants look for in a property. With size of units becoming smaller, most tenants, whether they are young or old, require smart storage solution. People gather belongings and they need a place to store all their things. The unit should have adequate closet space, and a number of cabinets, especially in the bathroom and kitchen area. Apart from storage solutions inside the units, many tenants appreciate storage units nearby that they can easily access. If there were, space available on the property, building storage lockers or allotting basement space would be an acute idea. Many tenants now also want a place to store their bikes, and providing bike storage lockers could attract many prospects. According to recent studies, about 32% to 35% of millennials and baby boomers have pets. Hence, it is a tremendous idea to provide special amenities for pets, such as pet park area that has adequate space for walking or running dogs. Property management could also consider including obstacles and tunnels in the pet park to make it more interesting. Welcoming the pets into the community by posting their photos on the property's Facebook page is also greatly appreciated by tenants. Both generations are equally interested in fitness and health, and providing a fitness center or gym can make a big difference. Tenants will love it, when they simply have to walk to the gym, instead of spending time on a long commute. However, exercising equipment should be chosen carefully, which will appeal to both generations. An open floor plan will help in making smaller units appear larger. Secondly, most tenants prefer this type of floor plan, as it opens up more spaces, and connects areas having different functions. For instance, people now prefer a kitchen that is openly connected to the living room without walls or corridors. This type of design is especially preferred by tenants who entertain often. Stainless steel provides a clean and attractive look, which is preferred by most tenants. Even though steel appliances need a hefty investment initially, they work out cheaper in the end due to better durability. Secondly, whatever appliances are provided in a unit, property management should make sure they match appealingly. Having a white dishwasher, brown refrigerator, and black stove, could diminish the looks of the kitchen. Along with the appliances, tenants should be assured about quick repairs and maintenance, if anything goes wrong. A washing machine and dryer in every unit is huge plus, but if this is not possible, then at least consider common washers and dryers for tenants in the basement. This is much more preferable than taking a ride to the Laundromat with dirty laundry. Anything is more appealing than that. Profitably managing an owned property is quite a daunting task. Many owners incur losses, when they are unable to tackle certain situations. Here are five problems that are quite common, while managing properties, and their possible solutions. Buildings and individual houses need ongoing maintenance in structural aspects, plumbing, and electrical systems. Anything can pop up at any time, and repairs have to be attended to immediately to avoid inconveniences to tenants. The best solutions for managing maintenance issues is to have a preventive maintenance program in place, and have a professional staff attending to the repairs. Complains from tenants can keep pouring in on a daily basis. These complaints range from small issues with other tenants, to major complaints to do with the state of the property. However, most complaints are to do with repairs or correcting something on the property. It could be about the illumination in the common areas and requests for brighter lights, or it could be about the potholes in the driveway. Every complaint needs to be looked into and cannot be ignored, especially ones that show potential problems in structural aspects of the building. 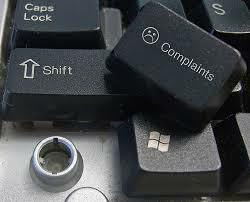 Tenants should also feel that their complaints are being heard and appropriate action is being taken. Not receiving rent on time is a major issue faced by all property owners. Most tenants have a range of excuses at hand for not making payments. Missed payments, late payments, check payments are all cause of concern and can eat away at the profits. Solution to this problem requires a multiple pronged approach. Firstly, there should be a person in charge who will go around collecting payments on the due dates, which will make tenants aware that they have to keep their payments ready on time. The second aspect is to levy some penalty or late fees, which is a percentage of the total amount owed. This usually works when the property owner is able to enforce it strictly and with precision and reason. Profitability is affected by several factors and the overall management of the property. One of the reasons could be due to many units laying vacant on the property. This issue can be handled with the right marketing technique for attracting tenants to the property. Proper advertising and good reputation about the property can make a major difference in getting the right tenants. Sometimes, even when all the units are occupied, the business might still run into losses and this could be for a number of reasons. This could be due to charging low prices to tenants or improper overall management. For assigning the proper rental price, it is necessary to have the property assessed to know the actual worth of the lodgings, and analyzing what people would be willing to pay. It also helps to do some research on what people are already paying at similar properties in the area. However, in most cases, losses occur due to improper overall management, and the best solution is to hire a professional property management company that is offering comprehensive services for handling all aspects of the property. One of the major costs that can eat away profits is utility bills. Energy is required for heating units in the winter and cooling the home in the summer. It is also required for working all our digital equipment and for powering our security systems 24/7. Even though we cannot do without energy, we can control how much of it is used to keep the budget under control. Many property managers have been successful in reducing energy consumption costs and they have managed to improve revenues without any change in the occupancy rate. Here are a few important points to consider for reducing energy costs. According to studies, multifamily properties consume $22 billion worth of water and energy each year in the United States. A research report that studied certain multifamily properties that were involved in retrofitting, found that the communities were able to reduce their energy bills by 20%, and were able to control energy wastage by 25%. Upgrades that provide better energy efficiency may need sizable investments initially, but they always work out cheaper and more economical in the end. Certain financial experts are also of the opinion that controlling the existing energy system can work out less expensive compared to a retrofit or upgrading project. Properties that may not have the funds for investing in high-end upgrades can still reduce energy costs by investing a much smaller amount in using existing systems more efficiently. For instance, staff members can undergo a training program that teaches how to keep boiler and HVAC systems running at peak efficiency. First, property management should have a magnificent understanding about how the energy companies are charging for energy in their bills. The next step would be to curb consumption during peak hours and shifting energy loads. The energy demand on the property can be curbed by installing control system and major loads can be shifted to the off-peak hours. Property management can see a major decline in energy costs by lowering demand charges. However, limiting demand can backfire, when the staff is not able to monitor the consumption closely. Certain energy providers impose huge fines when the plan is not followed exactly. Implementing policies for improving demand management can provide fabulous and clear dividends. Bills can be audited by a professional auditor or in-house property management staff can be in charge of monthly audits. A team can also be formed for monitoring usage and recommending the required changes. § Meter readings should be recorded every month, and these figures should be compared with the billed statements. § Keep track of incidents concerning heavy loads for comparing off-peak and peak demand charges. § Keep a look out for new charges and inappropriate fees. § Check current rates as per the contract and verify the cost per unit is being charged accordingly. Check the calculations and computations on the bill to see if it is done as per the contract, and their accuracy as well. The looks of the property is directly related to its appeal and the type of residents who would be interested in occupying such property. While curb appeal plays a major role, many other important considerations will also define a property to be luxurious. Properties that are considered luxurious are not only popular and fill up fast, but also they demand a higher rent. Hence, if property management wants to market the property as being luxurious, it is important to know the elements that would define luxury. Here are some important points to consider while making such a claim. The unobstructed view of a stunning sunrise might be considered luxurious in the desert landscape of Arizona, whereas in Florida access to a quiet beach, which does not cater to tourists, would be considered a luxury. 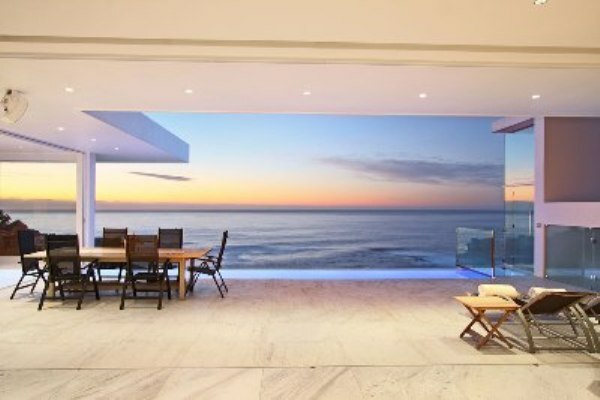 Hence, luxury is defined differently in different areas and from different viewpoints. While marketing a property it is important to know what the local population considers luxurious in a property. This can also vary between tenants demographics. For instance, younger tenants will be more interested in a secure garage for bicycles and a fully equipped gym, whereas senior tenants would consider an exquisite health center with visiting nurses, luxurious. The culture of the majority of the prospective residents and the climate of the place will also influence expectations about luxury. Even upgrades done on a small scale can make the property outstanding and terrific if it properly targeted to suit the lifestyle of the possible residents. The ability to customize and addition of fanciful decorations are very appealing to many tenants. Providing smart storage, and incorporating unique patterns and textures for the interiors play a major role in demonstrating luxury. Important interior elements that can be considered are abundant space for storage, subtle lighting fixtures, built-in shelves, especially in kitchen and bathroom spaces, and loads of tech support that includes docking stations, USB outlets, and many electrical outlets for digital and entertainment equipment. A compact unit does not necessarily mean that it lacks luxury. Most tenants are now looking for more amenities and convenience, rather than vast spaces. In fact, many professionals think extra space would translate into extra maintenance and cleaning chores, which would be bothersome. Mostly residents, now look for comfort and features that make things convenient for them. For instance, attractive features could include HVAC with zoning technology, better drapes for privacy, hi-tech security systems, and round the clock availability of various services. While considering luxury, another major change is that now many tenants are not concerned about the materials used, as long they are convenient and long lasting. For instance, the older generation seeking luxury would look for tubs and countertops made of granite, but now people mainly want efficiency, convenience, and the latest technology. For instance, residents who invite many guests are no longer concerned about the countertops being made of granite, but will be looking for hi-tech ovens and cooking tops, and whether they can hook up the latest entertainment system. It is necessary for property management to view things from the point of view of tenants to render better service. One of the difficulties many tenants face is on the move-in day. Considering that, most families move from their residence, once every two to three years, move-in day holds quite a bit of significance and they would like it to be as smooth and easy as possible. Property management can use this opportunity to have meaningful interaction and be helpful, which will in fact set the tone of relationship with the new tenant. What they say is true: first impressions are pivotal. According to studies, most tenants come to a decision whether they would want to renew their lease, during the first two days after moving in. 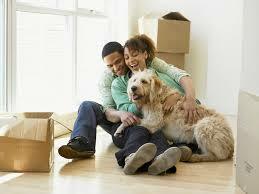 Therefore, it is paramount for property management to focus on move-in day. Here are some tips that can be helpful in creating the right impression. Signing the lease can take time, as the property manager might have to explain various terms and conditions in the document. At such a time, the tenant cannot have the truck with all the belongings waiting outside, as the rental will simply add up. The property manager will also not be able to provide the required service, as he will be involved with the lease signing procedure. The unit must be ready before the move-in date, and this is often overlooked. Property management team must have a checklist, and inspect the unit thoroughly the day before, to make sure everything is ready for the tenant to turn the unit into a home. Reacting when something is noticed by the new tenant sets a bad impression. In many properties, the inspection form is handed over to the tenants, and they are asked to fill it out and submit it to the management office. This might seem convenient for tenants, as they are usually busy on their move-in day. However, it lacks the personal touch, and if a staff member assists them in the unit's inspection, it leaves a much better impression, and property management has the opportunity to make sure everything is in order. Picking up and carrying even a single box will show that you are helpful, and it will stick in the memory of the new tenant. The gesture might be small, but it reveals your attitude, and it will be appreciated. After the move-in is complete, have the maintenance staff stop by and introduce themselves to the new family. Property management can surprise new tenants by leaving a welcome note along with a pitcher of refreshing drink on their dinner table. Even simply leaving bottled water in the fridge will be appreciated. For new tenants, it is highly convenient, when they realize they have forgotten to shop for toilet paper. For just a few dollars, property management can make a fine impression by leaving a toilet roll. Many companies employ expert staff to fulfill important contracts, and there are many such professionals who are looking for a comfortable and convenient place to stay. This is a lucrative segment for property management to consider, since these professionals are sometimes paid handsomely and the company is usually ready to reimburse their employees for the price of the renting charge. Even though this presents a salient opportunity for a property manager to decrease vacancies, maintaining current contact info and collecting the rent can sometimes be challenging. To simplify these challenges, property management will need to maintain a proper contact record, plus certain protocols for protecting the property from legal and other issues. For instance, how to respond to an emergency when the tenant is a traveling nurse who is away on assignment to some foreign land. It is therefore essential to design special riders, agreement information, or terms and conditions in the lease for such tenants. Here are certain situations to consider while designing special riders. When the tenant is going to remain away from the unit for a month or more, and that too frequently, then it is important to have multiple contact points. Property manager should be able to communicate with the tenant through written correspondence, phone, email, or by texting. This way, there will always be some platform available to communicate when the others have failed. Secondly, contact information must be updated at least once in three months to ensure correct information is available in the tenant's file. 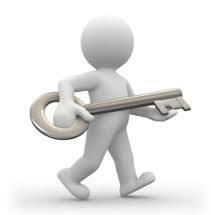 Having an online portal would be the best way for facilitating payment of rent and updating current contact info. There could be many situations where the vehicle of the tenant will have to be moved. It could be due to resurfacing of the parking lot, or during general maintenance of the building. Consider whether tenant should leave the key of the vehicle in the custody of some local person, or whether the vehicle should be stored off-site. If neither is possible, then fix the responsibility for towing and storing the vehicle. First, determine when the tenant would be considered missing, if he has not returned to the unit when expected. If the property manager is unable to reach the tenant directly, then lay down a procedure for contacting interested parties of the tenant, or the police if you have too. A natural disaster, or plumbing problem, or fire originating from another unit can damage the unit of the tenant who is away. Under such circumstances, there should be a protocol in place to access the unit for preventing, or repairing such damage. Tenants, who are away for a long time, usually employ house sitters or engage services that will take care of their plants or pets. Property management should design policies that will take into account the requirements of such tenants, but at the same time protect the property from issues of sub-letting. Secondly, proper security procedures should be in place to keep track of people who are entering such a unit. 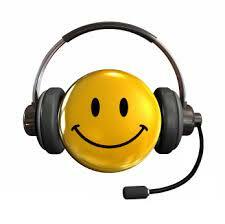 Providing a good service is the best sales and marketing tool, especially for property management. Simply mentioning on the property website that the best service will be provided is not enough, as people expect you to deliver. Prospects or potential tenants often check social media and tenant reviews to find out whether they can indeed expect impressive and professional service. In today's world of networks and connectivity it is not easy to get away with poor service, and in fact most people expect to be surprised by excellent service, since many companies are able to deliver this now. Here are a few tips that can improve the quality of service considerably. Each tenant is different, and will have their set of requirements. It is therefore important to know you tenants more by initiating conversations and asking pertinent questions. Now only will property manager learn new things about tenants, but also establish more connectedness with residents, which can result in more loyalty. Property manager should also be able to customize responses according to the type of tenant he is responding to, and avoid unnecessary confrontations. In a large community, it is often difficult to maintain close relations with all tenants. However, property management should not miss any situation where there is a possibility to interact and establish marvelous communication. Simply things like sending thank-you notes as per the situation or acknowledging an important event in their lives can go a long way in forming outstanding relationships. 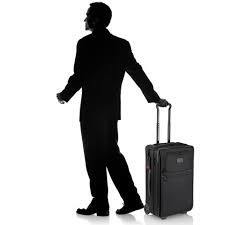 Additionally, make sure all office staff is able to recognize tenants when they call or walk into the office. 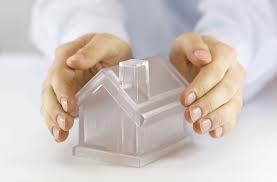 Responding to questions, complaints, and issues of tenants is the basic duty of property management. However, you can stay ahead of the competition when you have a very quick response time. The level of your service will significantly improve when you are able to respond within a few hours, even if it is just acknowledging the complaint, and assuring them that it will be attended to shortly. The result counts the most, and if you are unable to deliver on your promise, no amount of strong or cohesive relationship will make any difference. If you are setting certain expectations, make sure you are able to deliver. Simply mentioning various services and not delivering can have much more negative impact, compared to offering fewer services and delivering them. Trust is built by not only doing what was promised but also doing it on time. For rising above the competition, it is now necessary for property management to identify areas for delivering specialized or standout services. In a service-oriented market, it is not possible to survive without providing basic services, but that is provided by almost everybody, and when you need to compete, you need to think of unique ways that can surprise your tenants with services that they would not normally expect. For instance, providing some extra service for pets or having much better security system will definitely impress tenants.